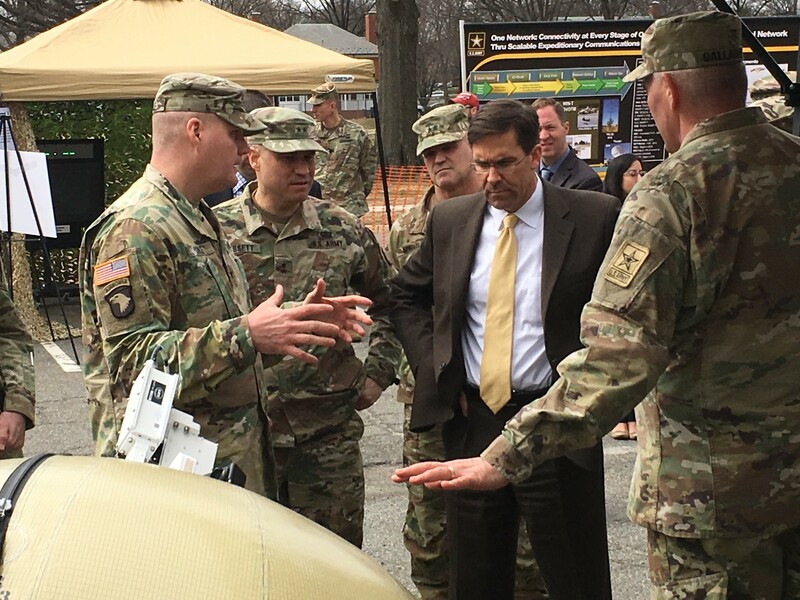 Third in a series of articles on how Combat Capabilities Development Command, formerly the U.S. Army Research, Development and Engineering Command and now part of Army Futures Command, is supporting the Army’s six modernization priorities. When Soldiers from the 2nd Battalion, 7th Cavalry dropped from UH-1 Huey helicopters into a small clearing in the Ia Drang Valley in November 1965, they became part of what is considered the first large-scale helicopter assault and the first large-unit engagement of the Vietnam War. Though immediately surrounded by thousands of North Vietnamese soldiers, American forces were able to combine air assault with the more traditional heavy artillery support to keep from being overrun. Hundreds of American Soldiers died during the battle that followed, but the air support was one key reason they were able to inflict a much heavier toll on the North Vietnamese army. Helicopters were indispensable during the Vietnam War because of their ability to take off and land vertically and to hover in a country noted covered in dense jungle. They were used to transport Soldiers and supplies to the war zone, conduct reconnaissance missions, strike targets and evacuate injured Soldiers for treatment. 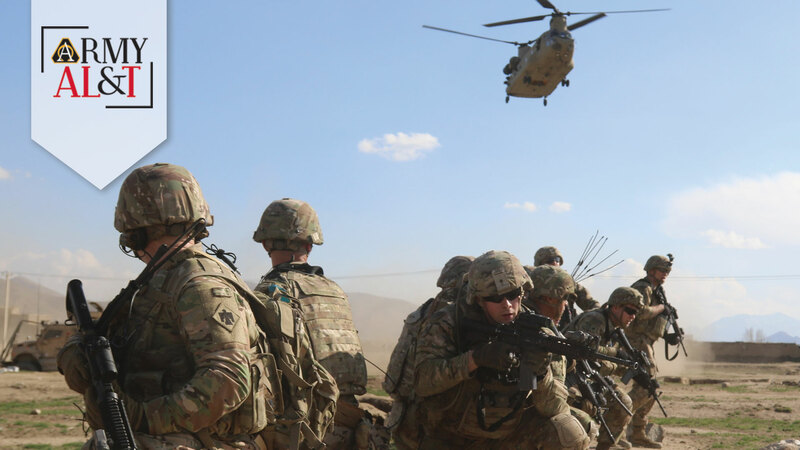 Many years later, Army aviation continued to play an important role in Iraq and Afghanistan, where the varied desert and mountainous terrain presented problems including limited maneuverability and brownout conditions. Helicopters remain critical to Army operations, but some of the vertical-lift platforms in current use are more than 50 years old. To achieve the performance that next generation aircraft will require, we are working on many critical areas including lethality, survivability, lighter and stronger airframes and rotors and advanced manned and unmanned teaming. Before moving into the U.S. Army Futures Command and becoming Combat Capabilities Development Command (CCDC), the U.S. Army Research, Development and Engineering Command (RDECOM) launched an across-the-board campaign plan to gain greater visibility of our operations and become more effective and efficient. This campaign continues to scrutinize our integrated technology development, how we manage our talent and other resources and how we communicate this to our partners and the American public. As part of that campaign, we reorganized our portfolio and management structures to mirror the Army’s modernization priorities, naming a lead center for each modernization priority. While the CCDC Aviation and Missile Center leads science and technology (S&T) for Future Vertical Lift—the Army’s third modernization priority—our eight major and three international centers and laboratories work together to interface with both the requirements community and the cross-functional teams developed as part of the Futures Command. This synergy enables our labs to produce a unified position and focus on the most critical technologies required for future vertical lift. CCDC supports the Future Vertical Lift team at multiple levels, providing a dedicated S&T representative who provides aviation expertise, access to our labs to exchange technology, war-gaming exercises for collaboration and problem solving, and subject matter expert and program development support. The command also brings the expertise of and relationships with its extensive network of domestic and international academic and industry partners, the U.S. Army Aviation Center of Excellence and the Program Executive Office (PEO) for Aviation to develop and demonstrate new technologies for future vertical lift that will provide increased range, protection, lethality, agility and mission flexibility. We are developing and demonstrating several technologies for future vertical lift to inform concepts of operation and retain air power in multidomain operations, which will require commanders to fight with joint forces across multiple spheres to defeat adversaries. The Integrated Mission Equipment for Vertical Lift Systems is a digital backbone of open architectures that will enable the Army to update and modernize equipment much faster and more effectively than currently fielded systems. This technology will not only meet evolving vertical lift requirements, it may be used on other platforms in the future, including combat vehicles. The flexible backbone will enable a plug-and-play capability, which will allow the Army to update systems easily with new technology. An added benefit will be the ability to increase readiness by programming the aircraft with the right capabilities for a mission before the aircraft departs. In March 2018, the Aviation and Missile Center conducted demonstrations on Modular Missile Technologies, a line of modular open systems architecture test missiles. The missiles were launched from a fixed stand and flew the ballistic path the team had planned. The highly adaptable open architecture hardware and software design of the Modular Missile Technologies will not only reduce life cycle costs for future aviation weapons, but also will provide greater flexibility and the ability to make improvements rapidly. Another area that we are exploring is air-launched effects, including unmanned aerial vehicles and missiles. These can be launched from current platforms such as an Apache attack helicopter or a Gray Eagle unmanned aerial vehicle, or from platforms still in development, such as the Future Attack Reconnaissance Aircraft (FARA). These platforms will contain a variety of payloads to degrade or destroy advanced unmanned aerial systems and provide support to troops on the ground. The Aviation and Missile Center is developing a FARA prototype, which will be a smaller variant than the Future Long-Range Assault Aircraft that is also in development. These future aircraft systems will have multiple types of unmanned aerial systems with lethal and nonlethal effects that can operate in communications- and GPS-denied environments. Based on multidomain operations concepts, emerging requirements for Future Vertical Lift include the ability to fly farther and faster, to carry heavier payloads, be easier and less expensive to sustain, to team with unmanned systems and perform certain optionally piloted missions. Aviators need to be able to operate day or night in all types of weather, including degraded environments such as sand, smoke, smog, clouds, fog, rain, snow, and brownout or whiteout conditions. Degraded visual environment (DVE) technology will enable operations including the ability to see the enemy without being seen, which will greatly increase lethality and survivability. Part of readiness is being able to operate in different environments, so DVE will make a critical impact when it’s fielded by increasing combat power as well as preventing mishaps. 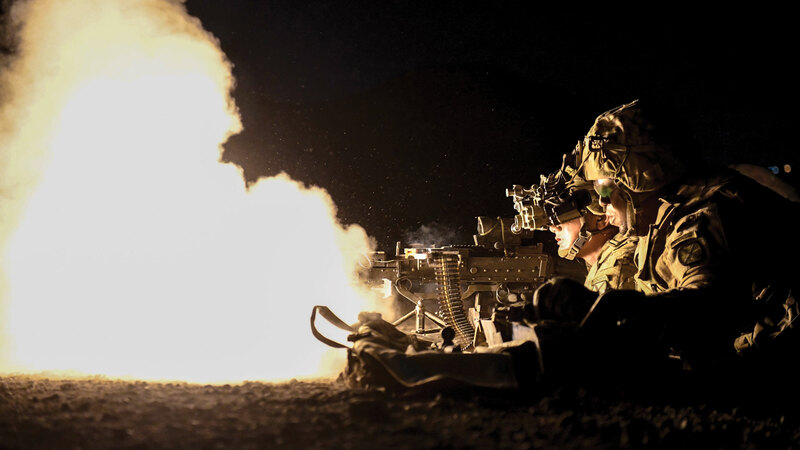 To support aviation survivability, we are exploring innovative technologies that will warn aircrews of incoming small-arms or machine-gun fire early enough time for them to take evasive action and launch a counterattack. These universal threat detection techniques will outpace evolving threats with coordinated effects that will detect, avoid or defeat threats by reducing platform susceptibility and vulnerability. A number of our efforts that will enable Future Vertical Lift to perform both manned and unmanned operations link directly to the Army’s priorities including robotics, autonomy and artificial intelligence (AI). For example, we are leveraging multiple areas of expertise across the command including engineers who can produce technology that allows platforms to perform complex navigation, and a communications system that will operate in anti-access and area denial environments. To support this effort, we started the Advanced Teaming for Tactical Aviation Operations program in FY19. Both industry and DOD have invested in this effort, so our challenge is to rapidly select the best components from industry that will work on military aircraft. Existing sensors are used for a single purpose, but it is no longer sufficient to have separate sensors for targeting, survivability and navigation. As a result, we are developing multipurpose sensors that will not overload the size, weight and power of the aircraft and will reduce the cognitive burden on pilots from data overload. These next-generation, multifunction electro-optical and infrared sensor systems will provide situational awareness in anti-access and area denial environments and automate targeting capabilities. The Aviation and Missile Center is working closely with industry to design and build a Joint Multi-Role Technology Demonstrator for Future Vertical Lift, which will incorporate existing and experimental capabilities that demonstrate vertical lift capabilities for future vertical lift programs. The Army is using the technology demonstrator to conduct ground and flight demonstrations to help inform requirements for next-generation Army aircraft. Additionally, the Army already has directed competitive prototypes for the FARA to be developed by the Aviation and Missile Center. The FARA will be a light-attack and reconnaissance aircraft that will be able to avoid radar detection and operate in densely populated megacities. Requirements for the FARA include enough AI to fly unmanned at least part of the time, a secure communications network to control specialized drones, an open architecture, speed up to 235 miles per hour and the ability to reach targets 155 miles away. The Army plans to conduct flight testing on the prototypes in 2023 and make a procurement decision in 2024, then field this new capability to a combat unit soon afterward. CCDC has hundreds of cooperative research and development agreements with many industrial partners, including Boeing, Lockheed Martin, Karem Aircraft Inc. and AVX Aircraft Co. Our academic partners on Future Vertical Lift include Penn State University, the University of Maryland and the Georgia Institute of Technology. Our international partners are the United Kingdom, France, Israel and Germany. These agreements enable both parties to trade access to labs, equipment, data and other resources for technical knowledge. We also lead the Vertical Lift Research Center of Excellence program, a collaborative effort between government and academia to develop, evaluate, demonstrate and test advanced vertical lift technologies. The aviation community is close-knit, fostering critical transition and knowledge-sharing across organizational lines. We have developed a road map to transition critical technologies in the short, medium and long term. This will ensure future increments of vertical-lift platforms will maintain overmatch well beyond initial operational capability and full operational capability. We have transition agreements with both the Aviation Center of Excellence and PEO Aviation on critical efforts to ensure both the requirements and acquisition communities are ready to transition on time. Under the Army Futures Command and as a critical member of the Future Force Modernization Enterprise, we are informing new concepts of operation and expanding what’s possible in many critical technologies, including those required for Future Vertical Lift. These technologies will provide commanders with increased reach, protection and lethality where they are most needed—on the battlefield of the future. MAJ. GEN. CEDRIC T. WINS is the commanding general of Combat Capabilities Development Command. Wins graduated from the Virginia Military Institute and was commissioned in the field artillery in July 1985. His military education includes Field Artillery Officer Basic and Advanced Courses, U.S. Army Command and General Staff College and the National War College, where he earned an M.S. in national security and strategic studies. Wins holds an M.S. in management from the Florida Institute of Technology. Detect, identify and locate enemy weapon systems to protect aircraft and related systems across all domains during joint and combined arms air-ground operations.